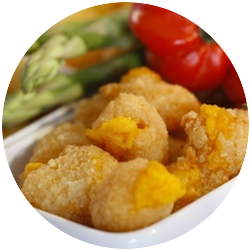 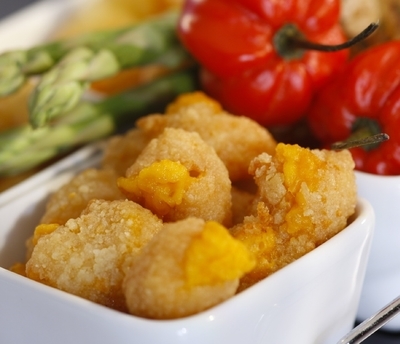 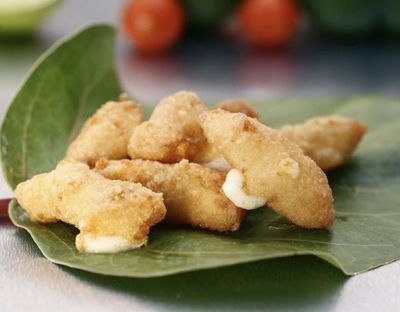 Wisconsin Natural Cheddar Breaded Yellow and White Cheese Curds make a popular appetizer anywhere! 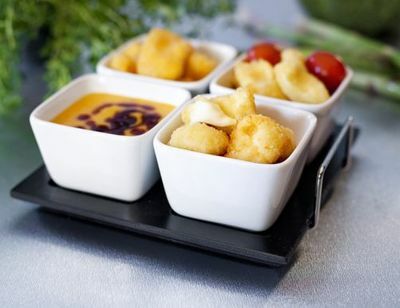 The golden brown deep fried melted cheese is a sure winner both as a bar snack or as an elegant appetizer in a fine dining menu. 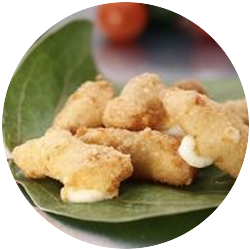 We get the natural cheddar curds right down the road from Renard’s Cheese and bread them fresh the same day! 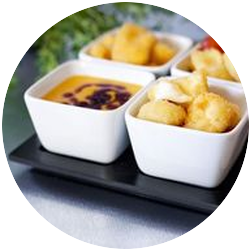 The product is available in white and yellow color.